We added to our gallery a shot of Randy, taken after the performance in Cabaret on January 26th and posted on Instagram by Kelly Luce, who is in the photo with Randy. Thank you Kelly for letting us share your photo! It's opening night for Cabaret at the Providence Performing Arts Center and the cast will be on stage soon. 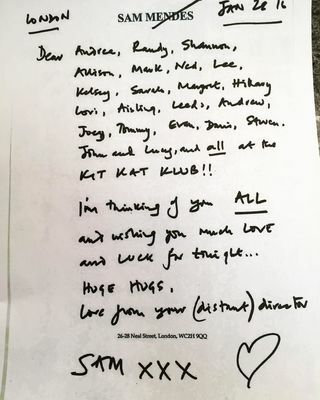 Sam Mendes, original director of Cabaret, sent a lovely note to the whole cast and Sarah Bishop posted a photo of the note on her Instagram. We added to our gallery a "few" screencaps from the video published by The Balancing Act on their Youtube channel. The shots are related to Randy's performance from the Cabaret National Tour Media Day held on January 8th at the Gibney Studios. 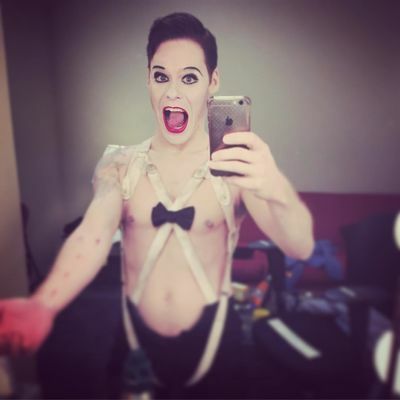 Last night Randy was on stage for the first performance of Cabaret National Tour at the Providence Performing Arts Center. Tyler Conroy danced with Randy on stage and shared this video on his Twitter. Thank you so much Tyler for letting us share it with Randy's fans! And finally we have a sneak peek of Randy in his Emcee costume! Randy has just posted on his Instagram a selfie! 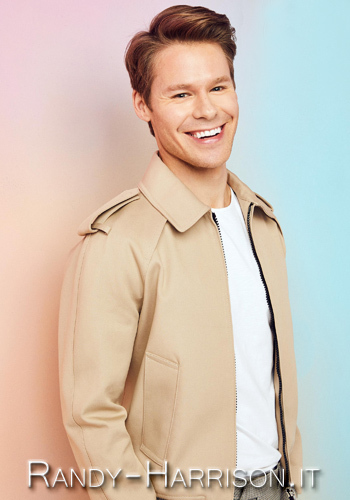 He looks amazing and almost unrecognisable with make up and costume! 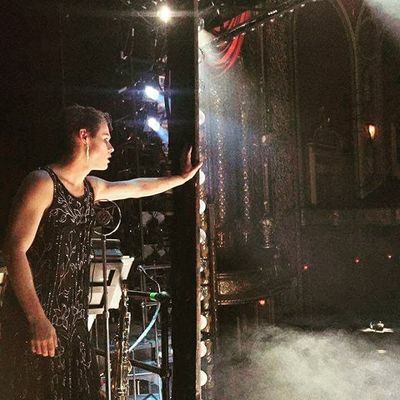 Broadway Balances America talked about Cabaret, the cast and the upcoming opening in Providence, in their show called The Balancing Act. They posted on their Youtube channel a video with some interviews, some sneak peeks from the Cabaret National Tour Media Day at the Gibney Studios and some moments from a previous performance. 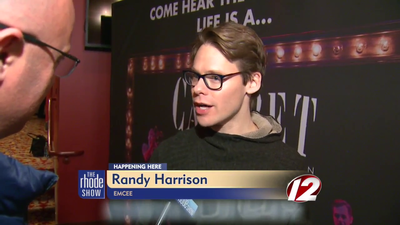 We added to our gallery a bunch of screencaps of Randy during the interview from the video by The Rhode Show. As you already know, the Cabaret National Tour's opening is scheduled for tomorrow, 26th of January at the Providence Performing Arts Center. In the meanwhile we have a preview of the musical from a previous performance and an interview with Randy, who has the leading role of Emcee, and his co-star Andrea Goss in a video posted on YouTube by The Rhode Show. 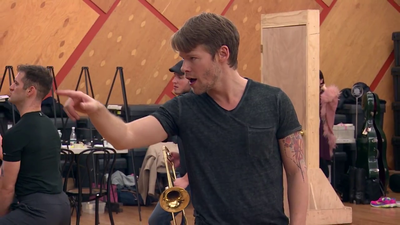 We finally have a first glimpse of one of Randy's costumes and honestly he's almost unrecognisable! Randy shared this shot on his Instagram and credited Joey Khoury for it. 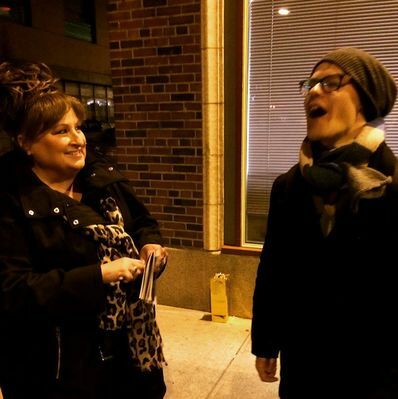 We have one more photo of Randy with Andrea Goss from the "behind the scene" event at the Providence Performing Arts Center. The photo has been posted on the PPAC's Instagram and reposted on Cabaret's Instagram.